By Turan Saul I guess you can say I should have seen it coming. All the signs were there. Ten years ago, my boyfriend, we’ll call him Josh for the purposes of this article, decided to start a salt-water aquarium. It sounded like a good idea. I grew up near the water, we both love to scuba dive and since living in the middle of Manhattan makes you feel like you are land-locked, it sounded like a worthwhile undertaking. The years that followed have been err… interesting, to say the least, and I hope to convey some of the highlights for you. During our courtship, I was still in school. Every weekend I would visit Josh and we always had the same plans. Find an aquarium store in the Tristate area, get lost trying to find it, then rush home as to not let the precious item die a horrible death in a small plastic bag. 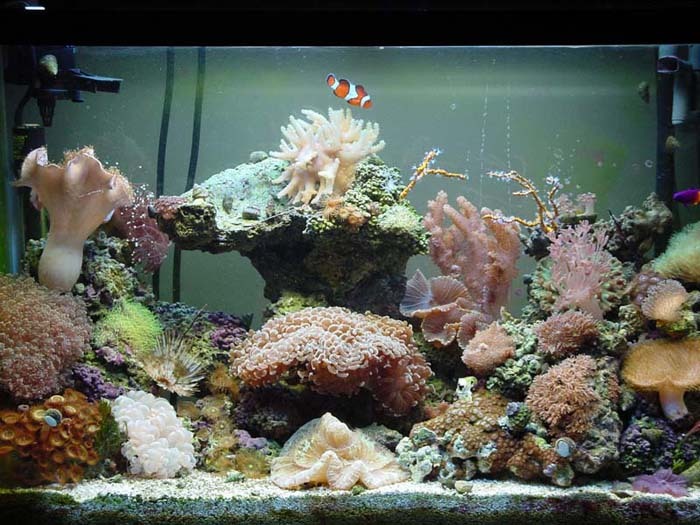 We first bought soft corals, but after about a year, Josh said he wanted to try something really crazy and switched to SPS. He was convinced that it would die, but he wanted to try. I told him it was a waste of money, but I think I actually said that about most of the stuff he bought. Every weekend, I participated in this ritual, and I guess my ability to tolerate it made Josh realize I was probably worth holding on to. After a few years, Josh proposed in the following manner. He told me there was an amazing new coral and he couldn’t wait for me to see it. 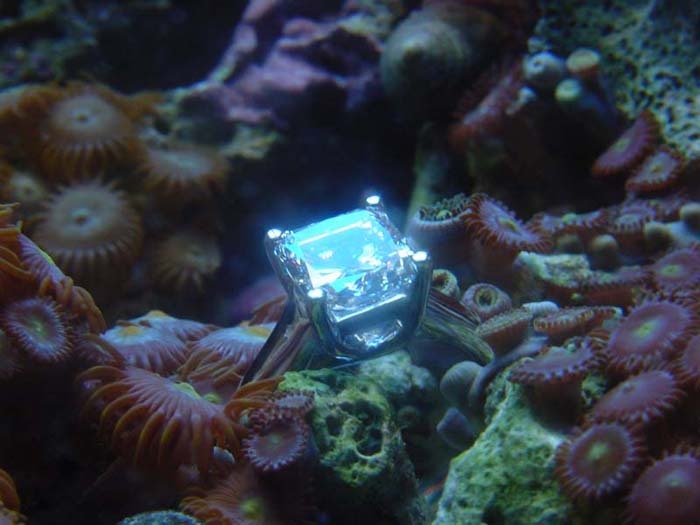 When I got there and looked in the tank, the “new coral” was actually an engagement ring sitting in a field of polyps. (Figure 1) How could I say no? 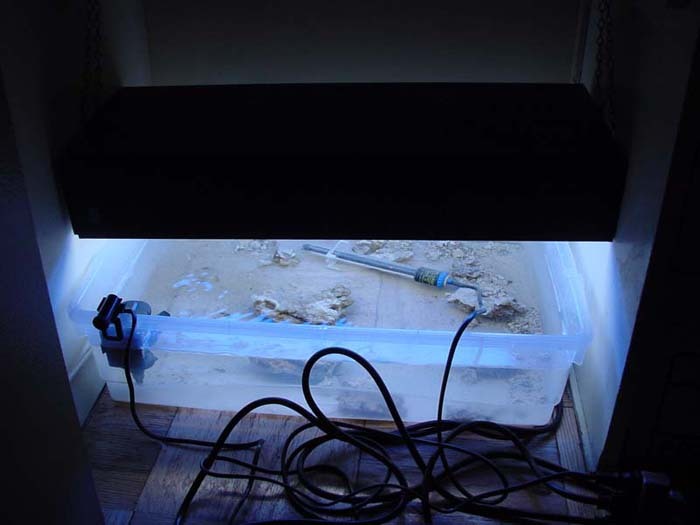 As you know, water magnifies, and what diamond could look bad under 250W metal halide lighting? I waited patiently as Josh changed out of the nice shirt he was wearing to fish it out of the tank so I could try it on. Some of these corals are poisonous, how romantic. 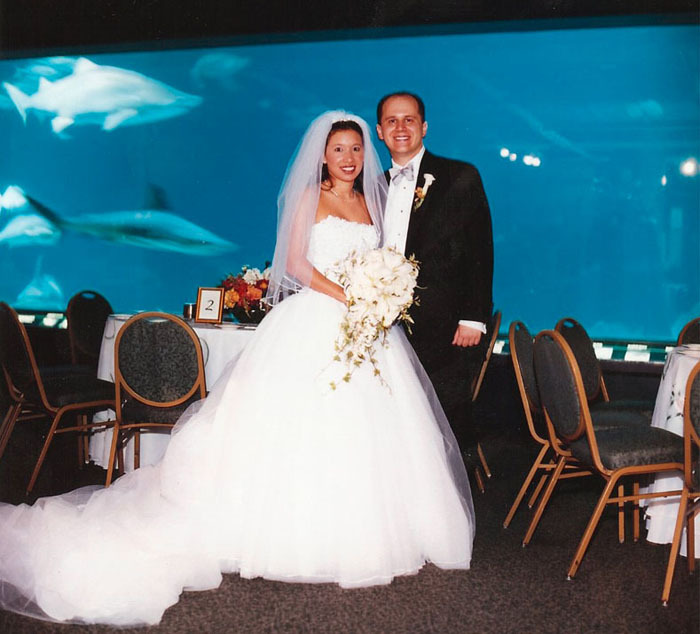 Our wedding took place two years later at the New Jersey State Aquarium. Josh bragged to anyone that would listen, not that he was marrying the most wonderful woman, but that he was getting married in front of the second largest salt-water fish tank in the country. I put my foot down when he wanted to scuba dive into the tank after the ceremony. Our ringbearers enter on the left. 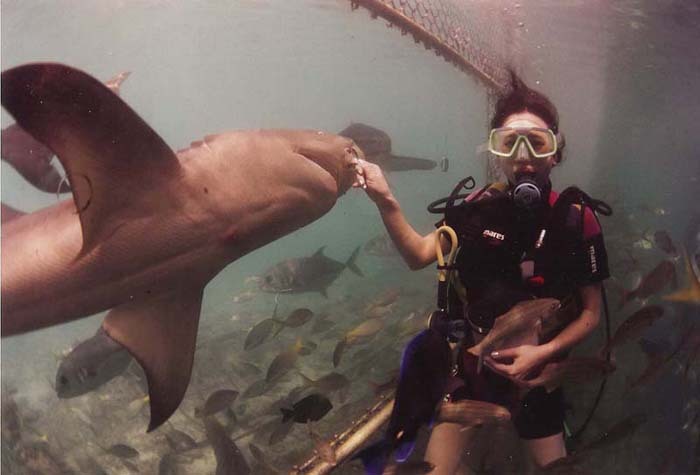 For our honeymoon, we went on a live-aboard dive boat. It was a very romantic week of getting up at 7:00 a.m., eating all of our meals with everyone on the boat and going to bed by 9:00 p.m. Matching regulators, how thoughtful dear! The five years since have been an odyssey of misadventures with several different aquariums. We got our first apartment in downtown Manhattan and although the transformation occurred slowly, our apartment now looks like we are running a water treatment facility. My kitchen sink is eternally full of buckets, there are hoses running from the sink into the living room and the floor is always covered in salt. There are tiny beakers and droppers and bottles of chemicals all over the place. It doesn’t help that I work at a hospital, which is chock full of supplies of the utmost interest to an aquarist. At work I might receive a call with the request: “Can you bring home an eye dropper?, I want to inject calcium into this aiptasia”, or “Can you see if you can get a medication pump?, I want to use it to dose the tank with strontium and the measurements need to be really exact.” Glass slides for wet mounts, scalpels, rongeurs (you call them fragging sheers, I call them bone cutters), there is nothing Josh can’t find a use for in the pursuit of optimizing his aquarium’s aesthetics and performance. One day I found this in our show closet. The division of labor in our family has always been ever so slightly skewed. There is a towel used for tank maintenance that I refold no less than 10 times a day; I’m constantly mopping up water and scraping salt deposits off the tables. To be fair, Josh does contribute in this one way: he has never washed his own clothes; however he washes the “socks” for the protein skimmer religiously twice a week. Prior, he had me convinced he wasn’t sure how to use the washing machine. A gift for me? No, a steaming, leaking box of coral. We have had several major floods in the apartment. It is my understanding that the causes of these floods were acts of God, not that Josh forgot he left the water running on the reverse osmosis filtration system and fell asleep. We have not remodeled a single room in our apartment; however, we have redone one downstairs neighbor’s bathroom and another downstairs neighbor’s bedroom due to flooding we caused. The bedroom flood not only damaged their walls but also dripped onto a fur coat. Needless to say, I don’t own a fur coat, but we bought my downstairs neighbor one. I am grateful one of these two families moved away; this minimizes the number of times I have to share the elevator with these people, as they seethe at me and I uncomfortably stare at the floor. 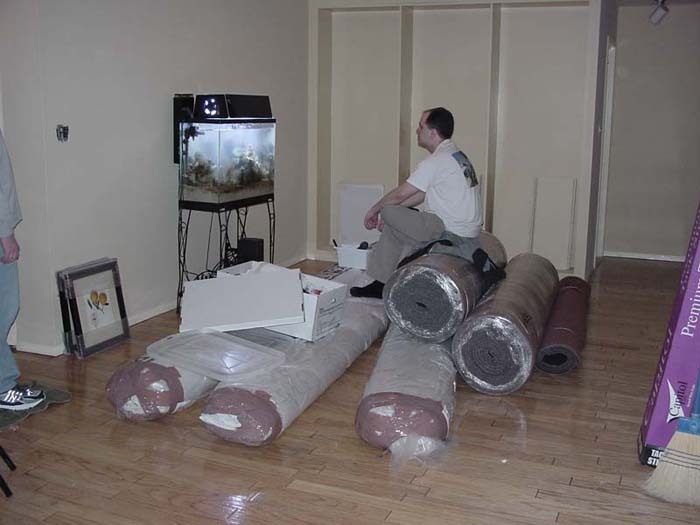 The floors in our apartment are not even done, but at least we have a tank. 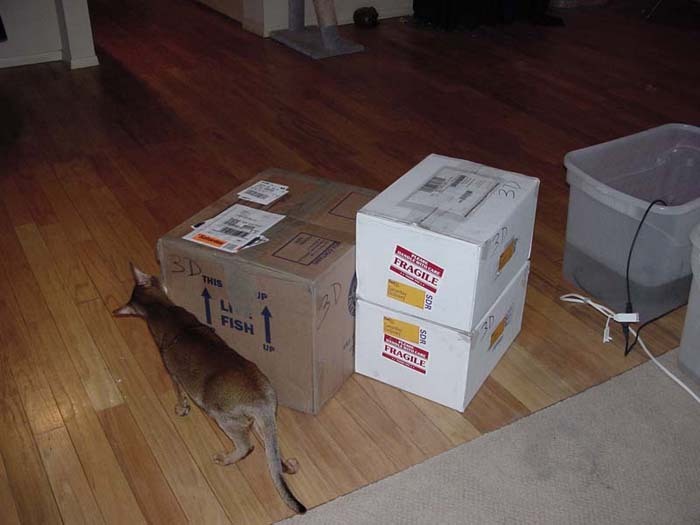 My worst fish tank memory was the black-out that happened in the northeast in 2003. I was an intern at the time and since the elevators didn’t work, I had the delightful job of running blood samples from the 14th floor to the 4th floor laboratory and back up again the entire day. When I finally got home, exhausted, Josh was freaking out, and had this elaborate scheme of how we were going to “save the tank”. It basically involved us staying up all night, taking shifts, blowing on the water in the tank to cool it, stirring it with a big stick and blowing bubbles into it with a straw. I considered leaving to go back to the hospital; it seemed way more relaxing. For all the women and men out there whose significant other is reef-obsessed and is showing them this article, the situation is not that bleak. 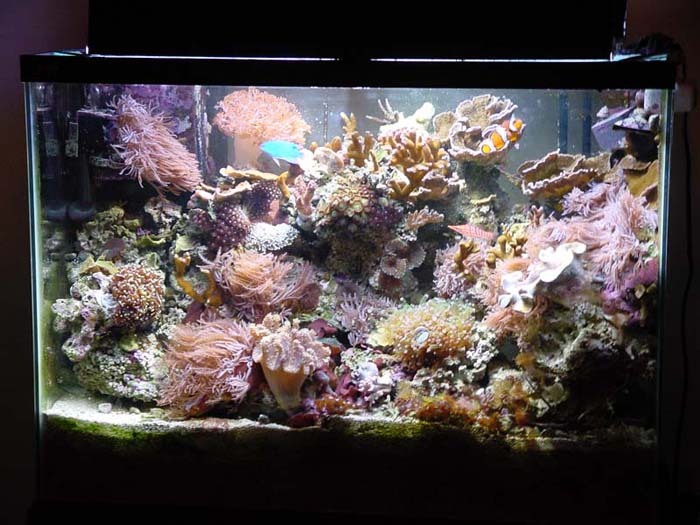 We have had a good number of mishaps, but we really have had a lot of fun starting and maintaining our aquariums and are grateful for all the friends we have made doing so. Bicycle built for two? Not quite. 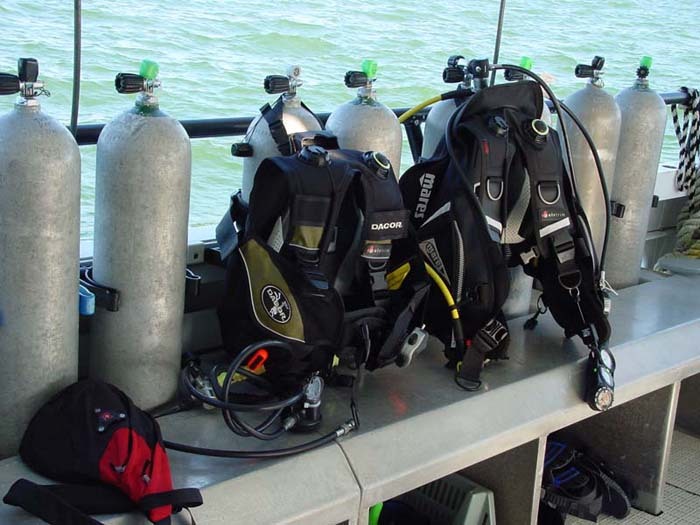 A 130′ dive boat with LORAN and NITROX. In closing, a few words about Manhattan Reefs or as I sometimes refer to it, Josh’s second family. When he first built the website, it was hosted on a server in our apartment until we couldn’t keep up with the bandwidth needs three years ago. The first two frag-swaps were in our apartment and consisted of more people than corals and a few pizzas. Website membership has grown in the 6 years since its inception to over 4000 members with semi-annual frag-swaps with over 200 attendees. Many of the members have become our close friends and we thank them for all the time and effort they put into their tanks, the website and the advancement of the hobby.